If you want to visit a garden and arboretum during your stay in MA you should look at our detailed list of the best Massachusetts gardens and arboretums. Why search the internet for hours when you can read through our guide. All of the best MA gardens and arboretums can be found right here! One of Stockbridge's Finest Attractions! 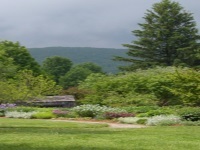 The Berkshire Botanical Garden was established in 1934. It spans for 15 acres and is home to more than 3,000 plant species. If botany is your thing, you will surely enjoy a visit to what is possibly one of the oldest of the gardens and arboretums in Massachusetts. It takes about 2 hours to walk around the gardens and you can do so at your leisure. For those who prefer a guided tour, these are scheduled on Wednesdays, Fridays and Saturdays. The Berkshire Botanical Garden is open each day between 9 am and 5 pm from May 1st until Columbus Day. One of the Newest Gardens and Arboretums in MA! 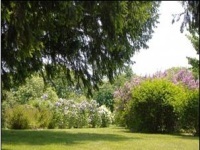 The Hebert Arboretum is situated in Springside Park and is one of the most recently landscaped gardens in MA. It consists of 231 acres which is home to not only a variety of plant life, but migratory birds, too. The Hebert Arboretum is open daily and admission is free. 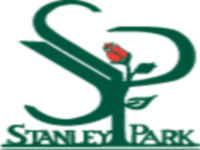 Established in 1999, it has gone from strength to strength over the years and visitors are invited along to the many educational events that are held throughout the year. The Hebert Arboretum also promotes community programs with the intention of encouraging the importance of land preservation. A Taste of History at Your Fingertips! Looking for a historic outing for the family? Look no further than the wonderful gardens and arboretums in MA, particularly at The Heritage Museums and Gardens in Sandwich. Likewise, educational field trips can be scheduled for school groups. You get the best of both worlds as there are three galleries and expansive gardens to walk through. Here you will also find a Museum Store and let the shopaholic in you break through! Items are crafted locally and make for great keepsakes or gifts to treasure for years to come. Or, if you cannot decide on a special gift, you can opt to purchase gift cards which can also be used as payment for admission to the museum and gardens. There's Nothing Creepy About Mount Auburn Cemetery! Despite the somewhat morbid name, Mount Auburn Cemetery cannot be faulted. You get beauty and peace all rolled into one and everywhere you turn you will be bowled over by nature. As gardens and arboretums in MA go, Mount Auburn Cemetery boasts 20-30 miles of trails. You can admire the greenery, wildlife and not forgetting the old gravestones, some of which may still have inscriptions on them. Some 95,000 people have been buried here over the years, but don't worry, they are all well and truly 6 ft under! Trees and plants are also labeled for your convenience. Stanley Park is a prime example of how Massachusetts gardens and arboretums can meet the diverse needs and tastes from members of the same family or large groups of people. Whether you like wildlife, exquisite plants, hiking or tennis, Stanley Park has it all covered. If the kids get bored from walking around, there is a large playground with all the usual amenities. The park opens on the first Saturday in May and closes on the last Saturday in November each year. The grounds open at 7 am and close half an hour before sunset. There is no admission fee to enter the grounds of the park but donations are always welcome. There are specific fees for use of the park to take pictures, using the Pavilion or for Wedding Ceremonies. 70 Acres of Pure Enchantment! 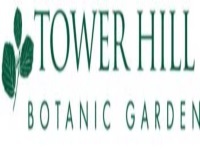 The Polly Hill Arboretum was founded in 1926 by the Hill family. The Visitor Center was later built in 1998. The Arboretum is open all day while the Visitor's Center operates more regular hours from 9:30 am and 4 pm from Memorial Day until Columbus Day. The Polly Hill Arboretum is one of the most unique gardens and arboretums in MA. 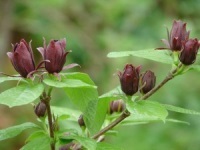 Here you will find an array of plants from magnolias and hollies to witch-hazels and conifers. With an affordable admission fee of $5 for adults and children under 12 can go free, this is one activity not to be missed! Indulge Your Senses at Tower Hill! Whatever time of the year you choose to visit Tower Hill Botanic Garden, you'll be amazed at the sights, sounds and smell! If Winter is getting you down, pay a visit here and be transported months ahead into Summer! The Orangerie is a mass with leafy trees and a fountain so you can almost sense as if you are in a tropical paradise! There is nothing average about what is said to be the first of arboretums and gardens in MA. You can choose to spend a quarter of an hour or several hours admiring what Tower Hill has to offer. Sample the different views each garden boasts and if you begin to feel a little peckish, you can avail of a light snack from the cafe on-site. Sample the Delights of Education, Beauty and Uniqueness! Wellesley College Botanic Gardens is a one-stop shop for all things beautiful, unique and educational. Nobody can deny the sight that beholds them as they wander through the gardens and greenhouses. With an impressive collection of more than 1,500 different plants it is without a doubt one of the most accredited gardens and arboretums MA has to offer. The Bog Garden is home to Labrador tea, cranberry and purple pitcher plants while the Kitchen Garden is used for the purposes of harvesting food crops to support student learning. 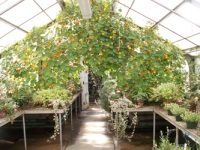 The Margaret C. Ferguson Greenhouses contains 16 smaller greenhouses that are all connected to one another. Take a Step Back in Time and Experience Nature as it Should be! The Mount is a place full of wonder and history. 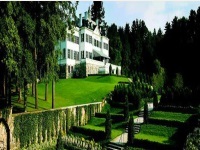 Established in 1902 by Edith Wharton, here you will be able to explore three acres of greenery and witness the beautiful landscape for yourself. The Mount gardens and arboretums also boast a guided tour of the house and its surroundings. 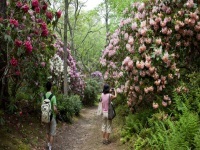 The Mount is one of the most prestigious gardens and arboretums in MA. Why not come along for the grand opening on May 4, 2013. Dog owners are also welcome! Entrance fees to The Mount vary but adult tickets cost $18 while children under 18 years old can go for free. A Fun and Interesting Day Out All Year Round! The Arnold Arboretum of Harvard University was founded in 1872 and was designed by Frederick Law Olmstead. 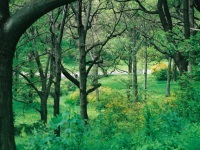 The gardens and arboretums of the Arnold Arboretum span an impressive 281 acres. The main entrance is located on Route 203 and is easily accessible by public transport. The grounds of the Arnold Arboretum are open daily to members of the public, however, the Visitor's Center and the Library operate various hours. Access to the grounds is free. 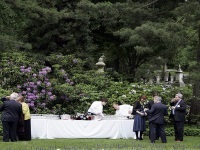 A number of events are held at The Arnold Arboretum throughout the year, making it the ideal family day out.